I don't really do a lot of 'product reviews' but if I like something, I want to tell you guys about it and I absolutely love this! I spotted it in a shop in the St James Centre in Edinburgh when through staying over with Siobhan. She'd told me about Tiger after I admired quite a few things in her home which she acquired there. I had never heard of Tiger before (although it turns out there is one in Glasgow too) and as soon as we walked in, I knew I'd love it! It sells all kinds of things and amazing prices, craft supplies, food, homewares, accessories and make-up, gift wrapping and general everyday items. I was amazed at some of the things they had at very reasonable prices and soon realised I'd need a basket! A couple of the things I ended up buying stood out though. 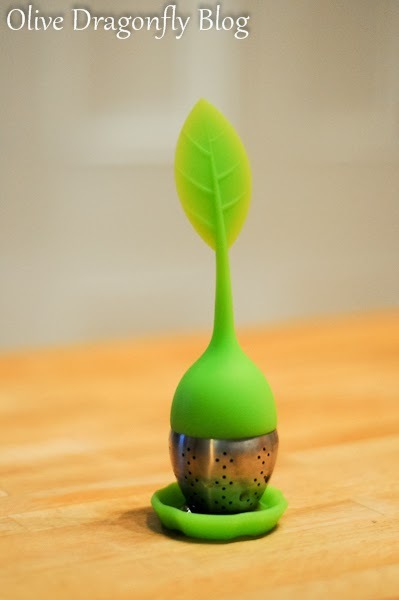 One being this awesome tea strainer for just £3. 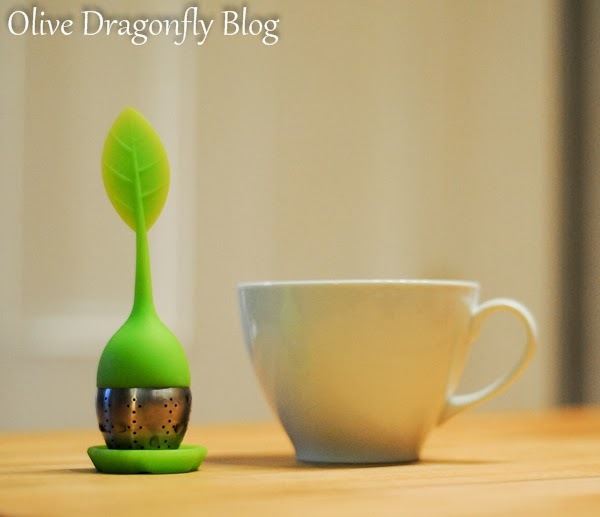 Obviously it's green so that's a big tick already but I love the cute shape - a leaf shoot - and it's so practical. 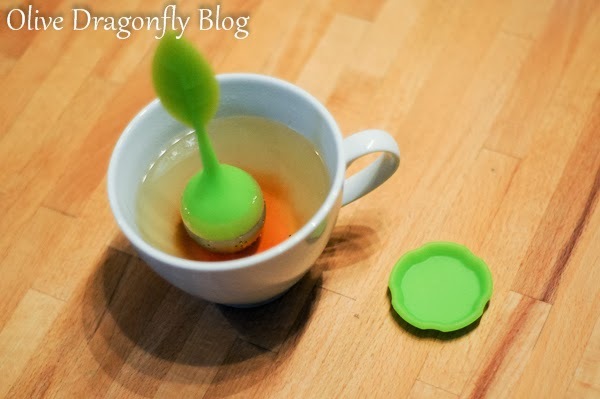 We do have a tea strainer already but it's like a mini sieve so you can't actually steep tea in the water as the tea would flow out into the cup/pot. 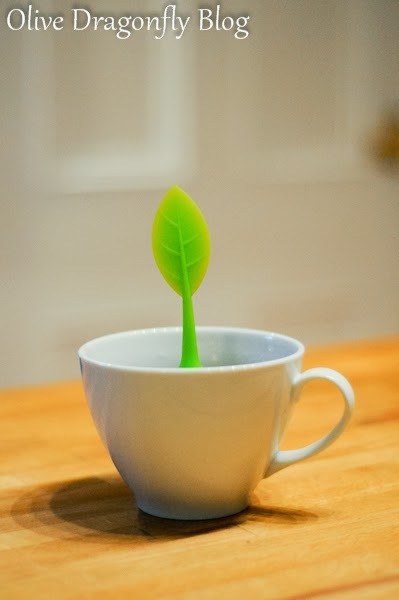 It's designed more to catch stray leaves as you pour out a pot I suppose. This new one however, seals up with the tea inside so it's perfect for the flavoured loose tea I've bought from Cup. 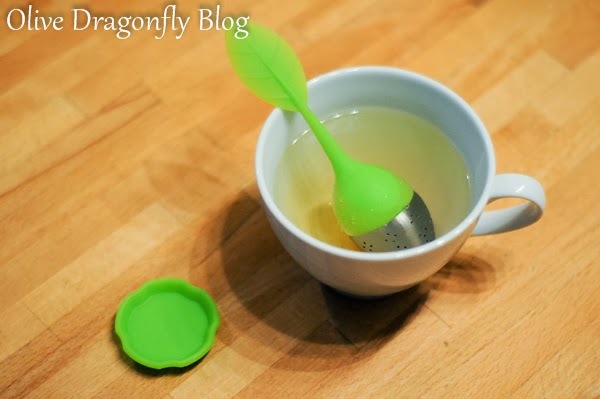 I love their Tahitian Vanilla and Coconut Cream flavours but they require steeping so I always had trouble using the little sieve, trying not to let leaves escape as I dunked it into a cup of water for 2-4 minutes. Another great buy was a wee present for Nik. 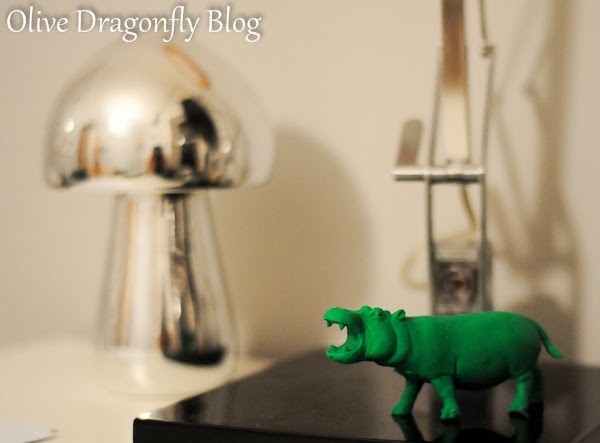 I got him this fab green hippopotamus eraser (£2) to sit on his desk in the study. I guess it was really a present for both of us as I love it too but Nik was delighted with it and he's the one who uses the study most. It made a nice bright addition sitting on his lamp. I love Tiger and wish there was one in Inverness. I spotted some decorative stones in one of their stores near to my work when I lived in London, that were perfect to include in our table centrepieces for our wedding, but I had to go back at least 4 times when they had their deliveries. I think the staff thought I was a proper weirdo! How much tea can you get in it? I like mine quite strong, so I need extra room! It is super cute! I am so glad you liked these!